As you may already know, emacs is more than a (cross-platform) text editor. Some say that it is like a whole operating system (and some devil worshippers say that it lacks a good text editor...). For the next 30 days (starting December 1, 2010) I'll check it as well as I can. I will work just with emacs. At work, unless completely necessary, I'll have just one open window: emacs. I may even consider reinstalling Emacs Multimedia System (EMMS). I'll use my Ben Nanonote (running Debian sid) as emacs-enabled note-taking and portable agenda device, leaving my iPod Touch just for wifi browsing when needed. I'll also use the Ben for writing post sketches on the train and programming on the go. So far, answering mails through multiple accounts: it can be done through gnus but I have not configured it yet (in 30 days I guess I can do it). Writing in this blog: can be done, but I don't want the hassle. Checking facebook, but could be done through w3m (elisp native web browser) and the mobile site. I'll just do Facebook at night, occasionally. At least for now, reading RSS. I'm very happy with my iPod Touch for this task, buy may consider doing it with the Ben Nanonote and gnus (for example) when I'm more comfortable with it. I've decided to move all these tasks to late afternoon, meaning I'll work within emacs and after work be slighly more flexible. 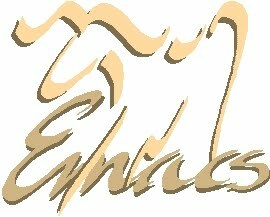 I'll write short (or not so short) tutorials on configuring some of the packages I've been using, and other interesting additions I have in my .emacs that I feel worth spreading. Expect from 5 to 10 posts, covering gnus configuration & simple use, org-mode as agenda and todo list, jabber for chat, doc-view for viewing pdf's, AucTeX for LaTeX, shell mode hacks and some additional modes and tweaks from my .emacs along the way. Beware! I may end up posting some of these by January 2011, after I get fluent enough with these tools. I hope you enjoy it and share with your emacs friends.